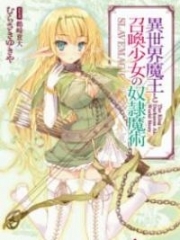 You’re reading novel Chaotic Sword God Chapter 695: Troubles Of The Tianqin Clan (One) online at LightNovelFree.com. Please use the follow button to get notification about the latest chapter next time when you visit LightNovelFree.com. Use F11 button to read novel in full-screen(PC only). Drop by anytime you want to read free – fast – latest novel. It’s great if you could leave a comment, share your opinion about the new chapters, new novel with others on the internet. We’ll do our best to bring you the finest, latest novel everyday. Enjoy! Jian Chen showered and changed into clean clothes before heading towards the hall to see Qin Wujian. When he arrived, Ming Dong, You Yue and Bi Lian were currently talking with Qin Wujian. Qin Wujian did not stay for long. He left the Flame Mercenaries to return to the Gesun Kingdom as soon as he conveyed the message to Jian Chen. “Jian Chen, the Imperial Protectors of Qinhuang Kingdom definitely have already learnt that you became a Saint Ruler. Since they want you back so suddenly, might it be because something bad is about to happen?” Ming Dong guessed. “Brother, you must be careful about that Gilligan clan. Although senior Tian Jian has repelled that king of the Gilligan clan, who can guarantee that they will not send other people to go against you. In my opinion, you should take senior Nubis, senior Jiede Tai and grandpa with you on this trip to the Qinhuang Kingdom.” Bi Lian said with concern. Bi Lian realised it was indeed true, so she stopped persuading him. However, she could not help but repeatedly warn Jian Chen about being safe. The news of the Gilligan clan member intruding into the Flame Mercenaries did not spread and was completely locked in, all because the magical beast did not create too large of a commotion. Otherwise, if he did make a scene, everyone would have known about it and it would become very difficult to prevent the spreading. Jian Chen spent a night at the Flame Mercenaries. In the morning of the next day, he exited the resting room with the tiger cub and bid farewell to everybody outside. “Jian Chen, come back early. Remember to be careful on your way. Right now, you’ve pulled really ahead of me, but the three year period is almost coming to an end. 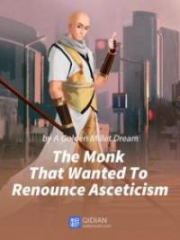 After you leave, I’ll immediately go into isolated cultivation and try break through to a Heavenly Saint Master before you come back.” Ming Dong said carefully. Reaching the end, his tone contained excitement and expectation that he struggled to conceal. He had already antic.i.p.ated becoming a Heaven Saint Master for three years. Five minutes later, Jian Chen departed with the sleeping tiger cub in his hands in front of everyone. He travelled using Spatial Force, where he seemed to transform into a bolt of lightning, rus.h.i.+ng up to a high alt.i.tude at an unbelievable speed. He immediately arrived at an alt.i.tude of several kilometers, before fusing with the surrounding s.p.a.ce. He turned into a blur, flying off into the distance at an even greater speed and in a breath’s time, he had completely disappeared. Jian Chen sped up and soared freely through the vast sky. Looking down at the blurry landscape of mountains and rivers below, he actually relaxed slightly and the psychological pressure from the Beast G.o.d Continent and guardian clans slowly decreased. After close to a day of travelling, the setting sun was finally about to disappear. Jian Chen arrived at Walaurent City and descended several kilometers away from the city, entering it by foot. He only went to Walaurent City because he wanted to visit the first young master of the Tianqin clan, Qin Xiao, who he had not seen in quite a while. Last time when he went to Longevity Valley to pick up Little Fatty, he wanted to go straight to Walaurent City to take Qin Xiao along with him. However at that time, the tungsten alloy mine had been exposed and the Flame Mercenaries were endangered. Time was extremely tight, which was why he could not take Qin Xiao and instead directly took the s.p.a.ce Gate in Qinhuang Kingdom back to the Flame Mercenaries. Now, since he was pa.s.sing through the same path, he had to go pay Qin Xiao a visit no matter what, as well as give him an explanation. After all, Jian Chen truly regarded Qin Xiao as his own brother and not as an outsider. Jian Chen entered the city without any obstructions. The hubbub and liveliness of the streets immediately attracted Jian Chen’s attention, which gave him a feeling of nostalgia. Especially from seeing the busy merchants and tired-looking mercenaries on the streets, Jian Chen could not help but think about how he was before. He immediately sighed in his heart. Several years ago, was he not the same as those people? He was busy everyday, walking beside life and death in the forests full of magical beasts, to battle so hard for his own future. It could be said that every expert had walked down a b.l.o.o.d.y road formed from the corpses of countless lives. Unknowingly, Jian Chen had already arrived before the front door of the Tianqin clan. This time, he did not even need to use his presence to clearly feel where Qin Xiao was. At this moment, Qin Xiao was with a large group of people in the conference hall of the Tianqin Clan. They seemed to be discussing something important and even the atmosphere of the entire hall seemed rather heavy. At the same time, Jian Chen could also feel that in the Tianqin clan, there seemed to be a solemn atmosphere. Even the guards at the door had been increased by a lot. Jian Chen swaggered into the estate, but the guards at the entrance did not seem to discover that he existed at all. Even their eyes did not move, allowing Jian Chen to enter through the front door extremely easily. It was as if Jian Chen was completely ignored by them. Jian Chen swaggered into the courtyard of the Tianqin clan as he was fused with the world. Even though he brushed past many people, no one noticed him. Very soon, Jian Chen arrived at the hall of the Tianqin clan. Just at this moment, his fusion with the world silently disappeared and hereturned to normal. All the people in the hall immediately noticed the unwelcomed intruder. It caused them to all be slightly surprised. However, there were clearly many people who recognised Jian Chen, since as soon as they saw his face clearly, they could not help but stare blankly before recovering their slight seriousness. “Brother Jian Chen, you’ve actually come. Weird, how did you get in? Why weren’t there any guards to report to me?” Qin Xiao immediately stood up from his seat and arrived in front of Jian Chen happily. 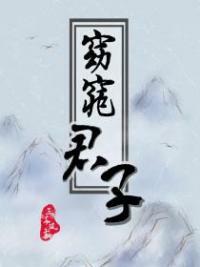 You're reading novel Chaotic Sword God Chapter 695: Troubles Of The Tianqin Clan (One) online at LightNovelFree.com. You can use the follow function to bookmark your favorite novel ( Only for registered users ). If you find any errors ( broken links, can't load photos, etc.. ), Please let us know so we can fix it as soon as possible. And when you start a conversation or debate about a certain topic with other people, please do not offend them just because you don't like their opinions. You're reading Chaotic Sword God Chapter 695: Troubles Of The Tianqin Clan (One). This novel has been translated by Updating. Author: Xin Xing Xiao Yao already has 11472 views. Current Time is Apr-23-2019 01:01:48 AM.